Just Listed :: Updated Ranch in Brookhaven's Drew Valley! Welcome Home! 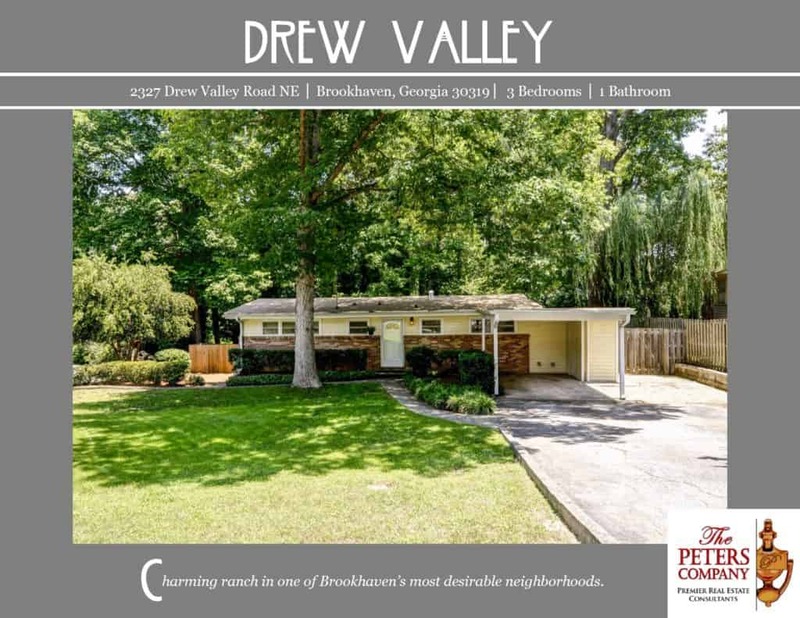 This home, nestled on a large corner lot in Brookhaven’s popular Drew Valley neighborhood, is just what you’ve been looking for! Originally built in 1954, this great home takes what’s old, restores it, and makes it so much better thanks to a series of wonderful updates. The flowing floor plan and charming character will never go out of style. The close proximity to Peachtree Road, I-85, and GA400 makes it convenient to and from any direction. You’ll also enjoy being close to all of your favorite Brookhaven hot spots including Town Brookhaven and the ever so popular Village Place Brookhaven! The updated kitchen features ample cabinet space, granite counters, stainless steel appliances, pantry, and a breakfast bar. Spacious living room boasts neutral colors, plenty of natural light, and a vaulted exposed beam ceiling. All bedrooms are well-sized and bright. The updated bathroom features a double vanity and large garden tub. Large laundry room has a sink and provides extra storage. The deck, screened-in porch, and patio are ideal for outdoor enjoyment and entertaining. ← Just Listed :: Gorgeous Traditional in Alpharetta's Windward!